My friend Mike recently shared his experience with an SPG Moments event, whereby he got two tickets in the SPG Suite at a Paul McCartney concert. Mike is back with another guest post, sharing his experience using the American Express Platinum concierge to secure reservations at Jules Verne, the restaurant in the Eiffel Tower. Truth be told, I don’t remember the last time I used the concierge service on one of my credit cards, so I was keen to hear about his experience. Based on the below it sounds like I might have to give them another shot soon! When we first began planning our trip to Paris, the one request my mother in law made was to have a meal at Jules Verne, the Alain Ducasse restaurant at the Eiffel Tower. I’ll admit when she first suggested it, I immediately assumed tourist trap with mediocre food and incredibly high prices. But, this was her trip and we decided to give it a shot for lunch, which would help keep costs down and still provide a nice bucket list experience. After reading about the reservations process, which opens three months in advance, I realized I’d be in Africa with limited access to internet and phone during this timeframe. I decided to get in touch with the American Express Platinum Concierge, which is a helpful benefit of the American Express Platinum Card. I’ve used them several times in the past getting difficult reservations or suggestions for special events. Normally, I simply fire off an email and someone follows up by email or phone to confirm my request and provide additional information. For some reason, my email address wasn’t showing as being registered to a platinum card holder (something you have to set up once), so they asked me to call in to confirm I was a card member. This minor inconvenience wound up being a blessing in disguise because the concierge I spoke with was really proactive and helpful. In addition to getting all of the necessary information about the Jules Verne booking, he also asked about the rest of our trip. And after listening carefully, offered to put together tour and restaurant information for my mother in law, since this was her first trip to Paris. I can’t say enough about how proactive Shaun was offering suggestions for things to do and places to eat. The information he provided was the kind of stuff you could find on Yelp and TripAdvisor, but having someone else do the work and organize it into a helpful PDF really was a timesaver. In addition to the convenience of having them make the reservation for you, the AMEX Concierge also has existing relationships with the restaurant, which improves your chance of getting a better table. In our case, it meant a table next to the window with great views. The very nice couple next to us kept asking questions about when we made our reservation and how we made it because they didn’t understand why we got the window instead of them. My mother in law had a real laugh on the way out when I pointed out we had a better table than Bill Maher who happened to be having lunch at the same time. For what it’s worth, our food was great and I was pleasantly surprised by the whole experience. We stuck to the three-course lunch for 105 EUR. The meal began with an amuse bouche. For starters we both had the French onion soup, which was interesting. While it wasn’t bad, it was just unlike any other French onion soup I’ve ever had. Then my mother in law had fish for her main (I think it was sea bass), which she really enjoyed. I had the pigeon and loved it. We both had the meringue with raspberry and orange blossom sorbet and fresh fruit for dessert. Finally, they brought fresh marshmallows and truffles and then petit fours. Needless to say, we were stuffed. It was also unique being on the Eiffel Tower while it was closed to the public. Apparently, the employees went on strike for the day to protest aggressive pickpockets. Thankfully the restaurant has a dedicated elevator and our plans weren’t impacted at all. When friends ask me about starting in the points and miles game, I often explain there are two different types of cards. 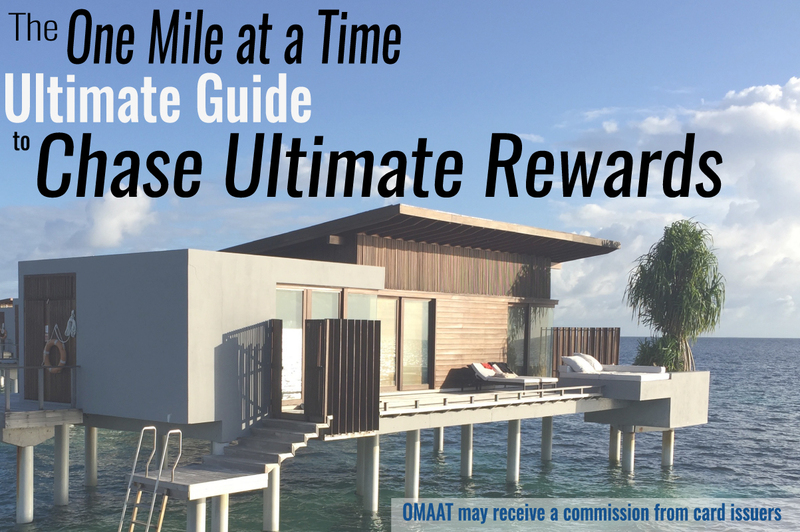 There are the ones with great welcome bonuses or earn rates for generating miles. 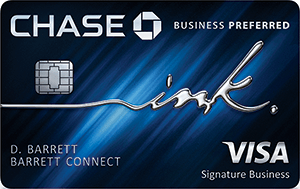 And there are others where the benefits associated with the card are reason alone to get and keep the card. 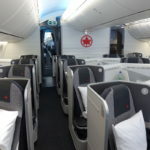 The American Express Platinum Card is definitely the latter and Ben has written many times about the various benefits of the card – airline fee reimbursement, global entry, lounge access, etc. Given this and other previous experiences with the Platinum Concierge, I’d definitely add this to the list of reasons that make it worth keeping this card in my wallet each year. The Platinum concierge and FHR is the only reason I’ve had this card for 5 years now. I don’t get any benefit from anything else it offers and feel the Gold is a better card for what I want, but I won’t get rid of it as I use AMEX’s services on an almost weekly basis and find their customer service to be amongst the best of any company I’ve ever dealt with. FYI: Visa is MUCH worse. Tickets to the Stanley Cup Finals priced out more than double what StubHub was asking and it took two additional emails for them to finally identity exactly where the seats would be located. Agreed re Amex Platinum Concierge. They got us reservations to the French Laundry. It was so easy, from my end. Wish I had more opportunities to take advantage of what they can do. While I appreciate Consierge services (for short time I had the card), they were not helpful for majority of my requests. Last time around, I used the services to book high-end restaurant during “Restaurant week”, and they came up with – nothing. I expected they will phone the restaurant until they get through (while I was at work, unable to sit on the phone when reservations opened), but no, they did not get it. Worst of all, they kept telling me they are working on it, and I finally gave up on Consierge an dialed myself. It only took me 10 minutes, but this was day 3 of bookings, and available time slots were very limited. I stopped using consierge after that. um, so you had lunch with your MIL, without your wife? @ Jeff – Just recommended the concierge to a friend with the Platinum card after hearing how hard his wife worked to get that reservation. He said he wasn’t going to tell her how easy it could have been. @ Marija – I’ve had one less than stellar performance from the Platinum Concierge when it came to concert tickets once. But, overall, I’d say those rare failures are an outlier. Might be worth giving them a shot again in a similar situation. 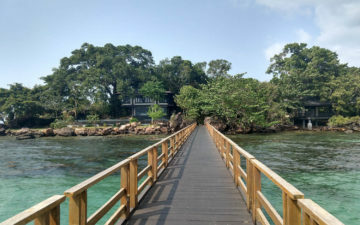 @ Jettyboy – My wife was supposed to go on the trip but couldn’t after I used up all her vacation. We’d made the commitment to take her mom so I took her by myself. Worked out fine but I definitely got a lot of similar reactions when telling people where I was going before the trip. Centurion Amex couldn’t get us into Jules Verne last minute, but the concierge at Le Meurice was successful. The food at Le Meurice and Plaza Athenne is miles better than that of Jules Verne. How far in advance did you book through the concierge? Lame product placement. Is this really needed on your blog? No credit card concierge (read: some poor soul in some remote call center) has any clue or connections in any city and doesn’t know anything about how to secure something that you can’t get for yourself. All credit card concierges I have tried have absolutely disappointed: but realistically speaking why would I expect someone to do wonders who cannot trade favours with anyone and who is responsible to cover the world in one single person (reading clues from a PC screen)? In the age of google you are at least as good or as bad as them. Why do you think no poor underpaid soul at their (and it’s not even an AMEX employee but a contractor to begin with) call center is not organised with Les Clefs d’Or? Because they don’t qualify. You need intimate knowledge of a city and the people that are helping you to get your job done and that is just impossible with a call center. 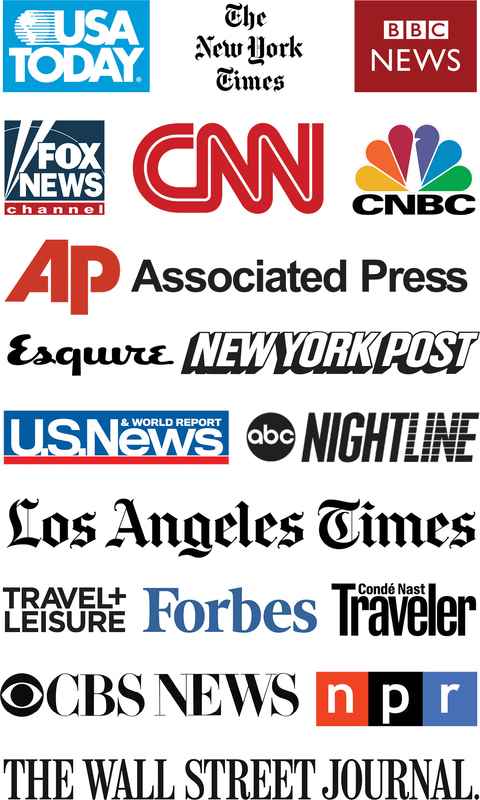 You have a very critical distance to the airlines when you write about them, keep it the same way when writing about AMEX. I don’t think this post is lame product placement at all. I found it very interesting as it’s a service I’ve never used with my AX card. I’ve used FHR before, and found that it is sometimes a great deal, sometimes not. I imagine the concierge service might be the same. Sorry if you’ve had poor experiences, but I found the story informative. Does the Eur105 include elevator tix up the tower or is it separate? @Emile – If you want to visit the observation decks, you have to book a separate ticket. The restaurant’s elevator only takes you to their level. I have had nothing but “sorry we can’t” from Amex Plat Concierge. Simple stuff like reservations around LA… Didn’t get a sense they had any pull whatsoever. @ Shadow Walker — Whoops, sorry about that. Fixed. @ SMK77 — Product placement? Mike is sharing an honest experience he had, which contrasts with the experiences I’ve had in past years of the card concierges being able to get “special” reservations. That’s what made the story so interesting, I thought. Amex plat concierge is operated by a firm called Circles. It is not a call center in some far away place. While indeed the individuals at Amex Conciergr/Circles do not have Clefs d’Or training nor meaningful personal connections, Amex is a very powerful force in travel and hospitality, and they have levered that position to give their concierge service a few advantages. I am friends with several people in management at high end restaurants in NY and indeed Amex ranks in the pecking order (though not at the top). I got into Jules Verne same day…for dinner…window table…via the FS George V concierge. If you’re going to a city and want to make some good dining bookings, work with the hotel instead of Amex (if you are staying at a good hotel). I mainly use Amex to help in my home city….I’ll give them a list of four or five places I want and ask them to sort it out. 9 out of 10 times it works fine. I used the chase sapphire preferred concierge to get a reservation at sushibiyaki jiro in Tokyo and it worked. i asked for 2 other spots too and came up empty but I was thrilled to get even one since prior to this I had never even tried to use my cc concierge because I assumed they were a joke. Clearly they can provide value in certain situations. I would argue especially so in a place like Tokyo, beyond obvious language and time zone barriers, where restaurants don’t have an opentable you can just log onto and a few clicks later get a confirm. from now on, if I have my sight set on a particular high demand rez (like dorsia at 8:30), I’m def going to give my concierge a call, got nothing to lose and it might work. It’s pretty sad when the pickpockets start targeting blue collar local workers in addition to the usual tourists. I booked Le Jules Verne on 06 February for lunch on the 26 Feb for my husbands birthday. On the Thursday my husband knew he couldn’t fly to Paris for his Birthday so I rang and changed it to lunch on Sunday 01 March instead. The restaurant were great to deal with and said they would do their best with a window table for us. The restaurant was fully booked whilst we were there but we got our window table. I would also like to note that they offered us the chance to visit the observation deck. We had a lovely lunch great service too, but it’s all about the view. 1) It seems like a lot of people are insisting that the food at the other Alain Ducasse restaurants is better. In your opinion, was the food at Le Jules Verne inferior? And if so, did its location in the Eiffel Tower help the experience overcome that inferiority? 2) I’m considering buying the “Dinner Box”. It’s about 900 Euros for two, includes the seven-course seasonal menu with wine, aperitifs, a half-bottle of Ruinart to take home, chocolates, and a tour of the kitchen. Would I be able to use Amex plat concierge to book this reservation? Or do you know if it would follow a different process? and @Ken – Dorsia? Nobody goes there anymore. 900Euros. For dinner. That’s more than we spent on food for almost 4 weeks overseas. As far as the level of service I always felt the platinum level concierges do just as good of work as the Centurion…I used them for years and they never ceased to amaze in getting impossible restaurant reservations as well as sometimes do what seemed like the impossible with airline tickets as well. (Though, again, Centurion level will open a few more doors here and there….if you can get one, I’m definitely not advising against it)…all in all I really can’t sing their praises high enough. Just my two cents. p.s. anyone have the Chase Palladium card? I definitely use the Sapphire card for purchases but I don’t think I’ve once actually used their concierge…but as Ben’s pointed out (well, actually every page points out) it’s great card to have in the wallet. Had an AMEX platinum card from about the day they came…..a long time ago….When it first developed it was fantastic..There was nothing they couldn’t do…They helped me out when kids were stuck in Europe, helped my kids when they were waylaid in some strange airport….Never failed to come up with great dinner reservations, presents, and too many wonderful things…..Then, on night on Black Friday, they refused to let me buy a TV set…..for $500.00…..Talked with some idiot in India, refused again…..YES….PLATINUM…..we had spent thousands and thousands on the card….and, of course, always paid immediately….They refused the dam TV….Had roughly 360,000 points….The idiot was sure it was a fraud because he told us we never bought a TV on the card before…..How many TV’s does one need??????? He canceled the card, and it took months to get it straightened out….and get a few of the points back….The service had been getting harder and harder to negotiate and the comps were coming down…I finally took the points, cancelled the second card which they reissued with the incorrect points, and decided then and there, I would NEVER except an AMEX card in any of my businesses, nor would I ever have one again…..including cards that were issued by other vendors such as Costco…My experiences were so wonderful in the beginning …….and turned so sour in the end. It was a long time ago, and I have not forgotten one bit….nor will I forgive them for such an error….and yes, they knew it was not a fraudulent card….